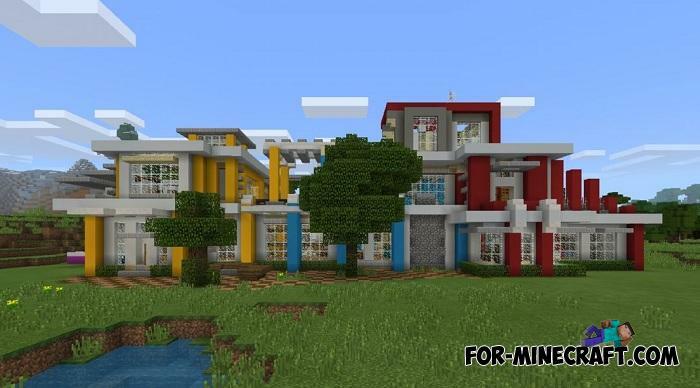 Settle in a modern mansion built of different colors. But it does not look like a fancy dress woven from completely different and incompatible colors. There is a fashion and the exterior of the mansion proves it very clearly. You will see red, blue, yellow, gray and even pink colors that are very difficult to use in the construction of something modern since dark colors are mainly used for this with the integration of light. 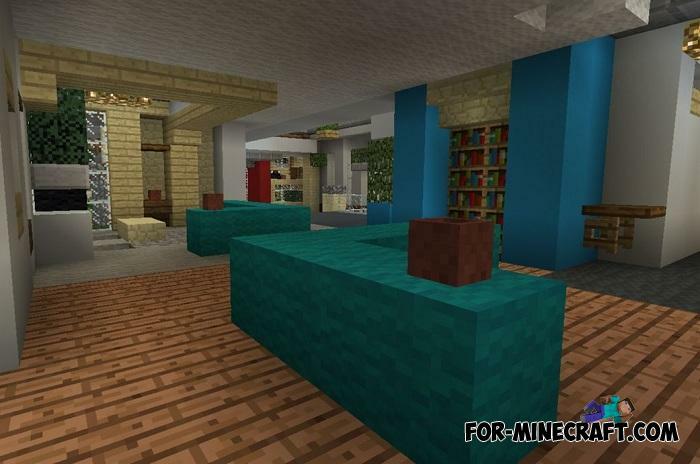 This time, like many others, SkyGames has created an excellent mansion adapted for life. There is no need to change something, the interior is furnished and decorated with everything that makes the room a cozy place to stay. There are bedrooms, kitchen, bathrooms and a hall. 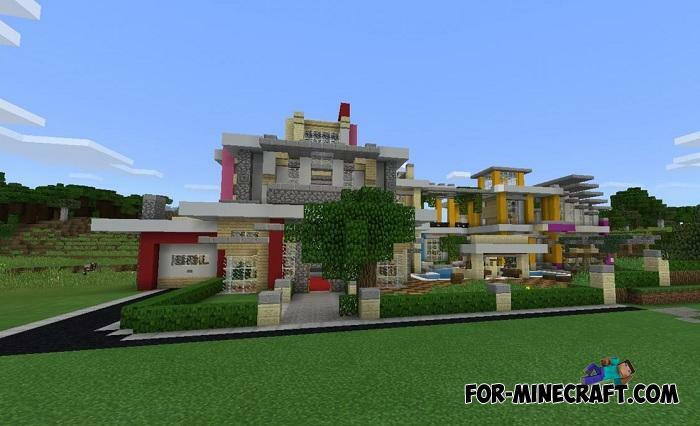 If you are not alone, you can divide the mansion into several parts, focusing on color. 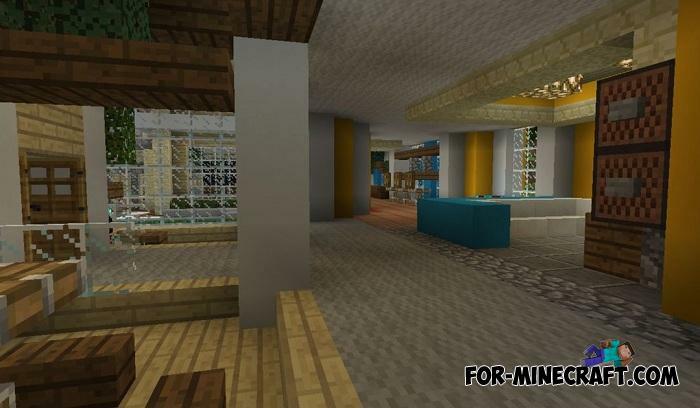 Also, it does not matter which way you approach it, the mansion is visible from any point thanks to the open area.